A Palestinian village in the West Bank will argue Monday that a Quebec court should hear its lawsuit against two Canadian construction companies that it alleges illegally constructed buildings on Israeli-occupied territory. Bil’in, a community of about 1,700 inhabitants located northwest of Ramallah, is suing the Quebec-based companies for $2 million. “They know it’s a legal long shot, but if the Quebec Superior Court even agrees just to hear their case, it would be a partial victory, set an international legal precedent, and it would be a public relations coup for the small village,” said the CBC’s Dan Halton, reporting from Montreal. Beginning Monday, the Quebec Superior Court in Montreal will hear arguments from both sides on whether it should hear the suit. The village’s claim was filed July 9, 2008, against sister companies Green Park International and Green Mount International. 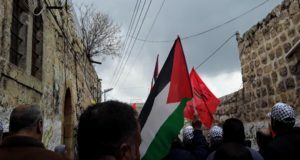 It asks the Quebec Superior Court for an injunction to stop further construction and demolish apartment buildings already erected in Moddin Illit, a Jewish settlement northwest of Ramallah. It alleges that both companies illegally built buildings and roads in the settlement, which was part of the Palestinian village until Israel seized the West Bank from Jordanian control in the Six-Day War in 1967. That seized land is subject to international law, which the construction violates, the lawsuit claims. The lawsuit asks the court to rule whether the construction represents a violation on several fronts: the Fourth Geneva Convention, which deals with the protection of civilians in times of war and occupation; Canada’s Crimes Against Humanity and War Crimes; the Quebec Charter of Human Rights and Freedoms; and the Civil Code of Quebec. The Fourth Geneva Convention forbids an occupying power from transferring its own civilians into occupied territory. 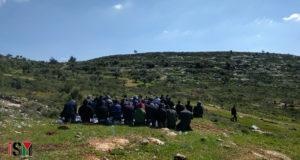 In the lawsuit, the village’s municipal council and chief Ahmed Issa Abdallah Yassin allege Green Park and Green Mount acted as “agents of Israel” by building the housing. The lawyers for Green Park and Green Mount International declined to be interviewed by the CBC. But Ronald Levy, one lawyer for the two companies, told Halton “that he considers the lawsuit totally inappropriate.” He has filed three dismissal motions in the case. “Today in court, he’ll argue that the judge dismiss the lawsuits on the basis that it’s just not the right jurisdiction,” said Halton. “International legal experts say while this is a very creative legal challenge, they’re pessimistic on the chances for their success. 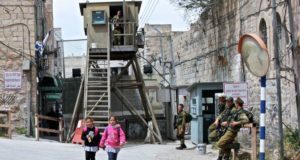 They say that Canadian courts would be very reluctant to interfere with Canada’s foreign relations and really weigh in on the legal status of Israeli settlements,” Halton said. The lawsuit also names Annette Laroche, who is named as the director of both companies. She did not return the CBC’s calls. The hearings into the dismissal motions will take place Monday, Tuesday and Thursday.